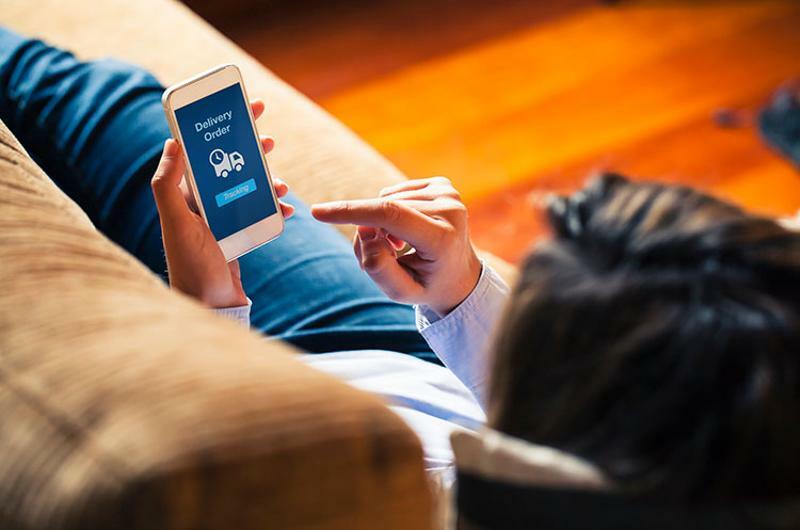 Delivery and off-premise options are rapidly growing, thanks in part to younger consumers’ desire for convenience to help them manage their busy lives. 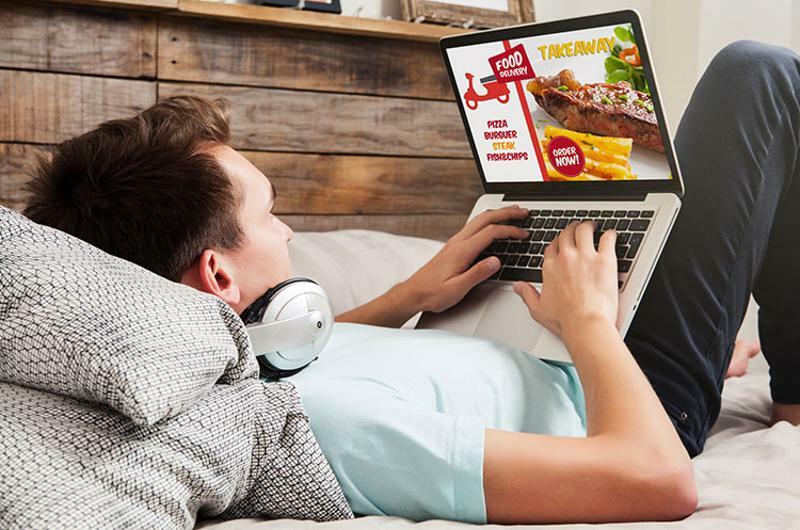 According to Technomic's recent Takeout & Off-Premise report, 49% of consumers ages 18 to 34 are ordering food to-go more often now than they were three years ago. As a result, more operators are adding takeout and delivery options to their menus. But like any other restaurant offering, a successful off-premise strategy should be planned carefully. From making sure packaging gets the food delivered in excellent shape, offering menu options specific to delivery and takeout orders and partnering with third-party providers to ensure every diner is within reach of your operation, developing a winning off-premise strategy can be tricky. Here are four ways to make sure you’re on the right track. Enticing diners to order takeout or delivery starts by ensuring they like what’s available to order. Restaurants should offer the same foods for delivery as they do for takeout—provided that the quality when delivered matches that of the dine-in experience. But to shake things up a bit and make delivery or takeout a bit more special, or if several menu items cannot maintain their quality during transport, it can be beneficial to offer specialized options only available for off-premise dining. For instance, Technomic’s Takeout & Off-Premise report finds that about a third (32%) of consumers get delivery with friends, so offering take-out only sampler plates of appetizers can be successful. And if a restaurant offers cocktails or mixed drinks, pre-made mixers can be sold on the basis that the consumer can add their own alcohol when they get to their destination. These options help enhance the delivery or takeout experience, bringing a little touch of the dine-in experience into customers’ homes. Delivery makes up a quarter of all off-premise orders, according to Technomic’s Takeout & Off-Premise report. 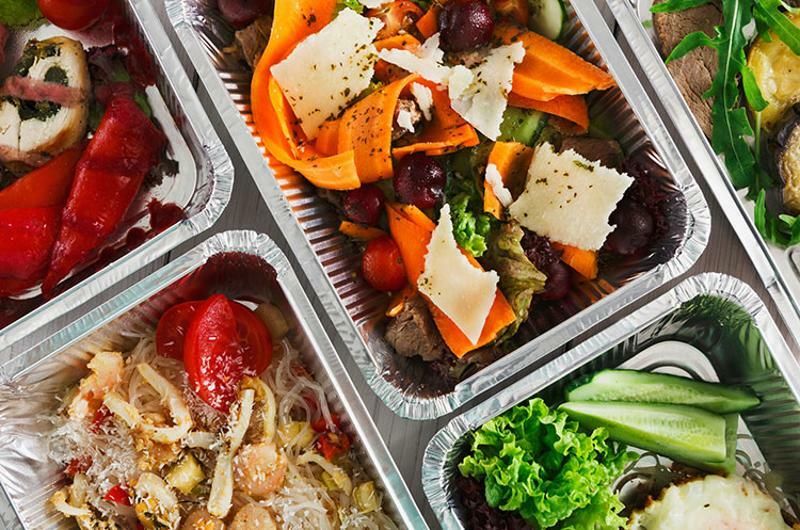 But regardless of whether diners are getting food delivered or picking it up on the way home (or on their lunch hour), it’s important that the way it’s packaged lends well to sustained quality. 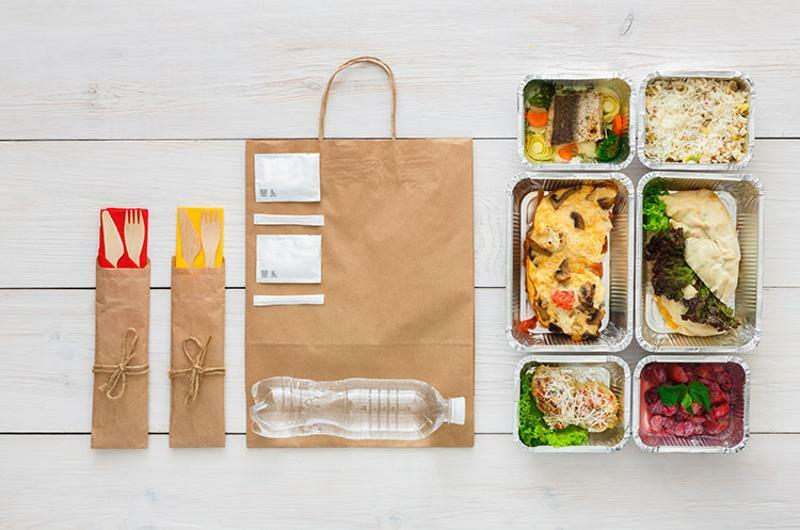 Fifty-eight percent of consumers say that when they get food to go, they wait until they reach their destination to eat it, so that food must taste just as good after traveling. Those who consume takeout at an alternate destination also typically take 10 to 15 minutes to pick up their orders, so the packaging should preserve quality for at least that long. Soggy fried food, wilted salads or hot food that has cooled off too much can all affect a customer’s satisfaction with their order and can impact the likelihood that they’ll order again. Make sure that packaging is insulated for hot foods or vented for fried or crispy foods to ensure that food quality is consistent, no matter where diners are eating. While a lot of off-premise dining happens at lunch and in the evening, morning is quickly catching up. According to Technomic’s 2017 Breakfast report, 57% of consumers order breakfast from foodservice locations at least once a week, and 45% are looking for portable on-the-go options. Ensuring diners have convenient, hand-held or portable items to buy can help increase to-go sales. One-third of 18- to 34-year-olds eat their breakfasts on the go, and 33% say that it’s important for operators to offer portable packaging for breakfast items. This means that offering handheld breakfast items is an area of growing opportunity. And as for what they want to eat when they’re on the go in the morning? Forty percent of consumers say that it’s important for restaurants to have breakfast sandwiches, wraps or burritos on the menu. 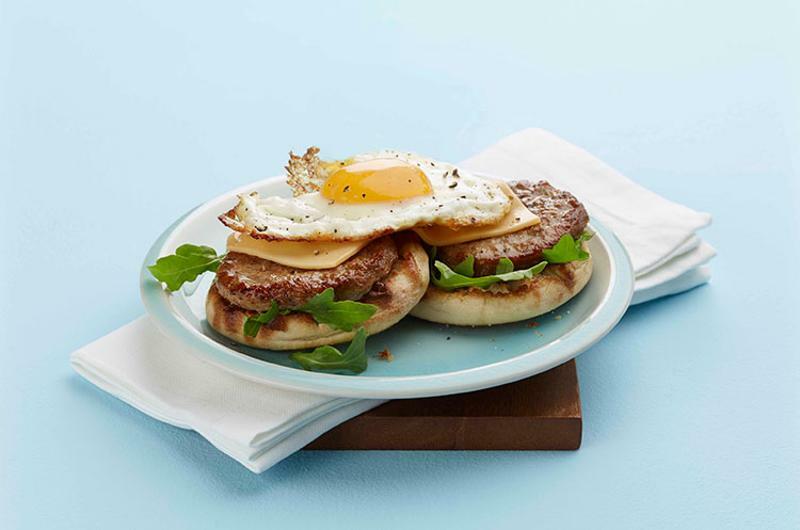 What’s more, these types of items also marry well with other trends such as ethnic flavors or healthier options, so consider offering breakfast sandwiches that feature globally inspired sauces or better-for-you proteins such as turkey. Technomic’s Takeout & Off-Premise report found that 26% of consumers typically purchase more food when they order it to go versus when they dine in. Numbers like that can add up to a lot more food sold and, in turn, more money coming into the restaurant. While the most popular way to order food for delivery or takeout is by calling ahead and ordering, online ordering through a restaurant’s website or a mobile app, via a computer or other device, are also growing in popularity. Next-gen ordering options, according to Technomic, include ordering via text, a chatbot, ordering via emoji-only text, using a game console or ordering via social media. Restaurant operators are also using technology to implement delivery services through a third party rather than hiring delivery employees. With consumers ordering food to-go an average of 5.5 times per month, according to Technomic’s recent Takeout & Off-Premise report, and 31% using third-party food delivery services at least twice a week, per Mintel’s Online Foodservice Consumer report, it’s important to have the ability to offer these much-sought-after options. Partnering up with a third-party delivery provider can help operators bridge the gap and boost incremental sales. 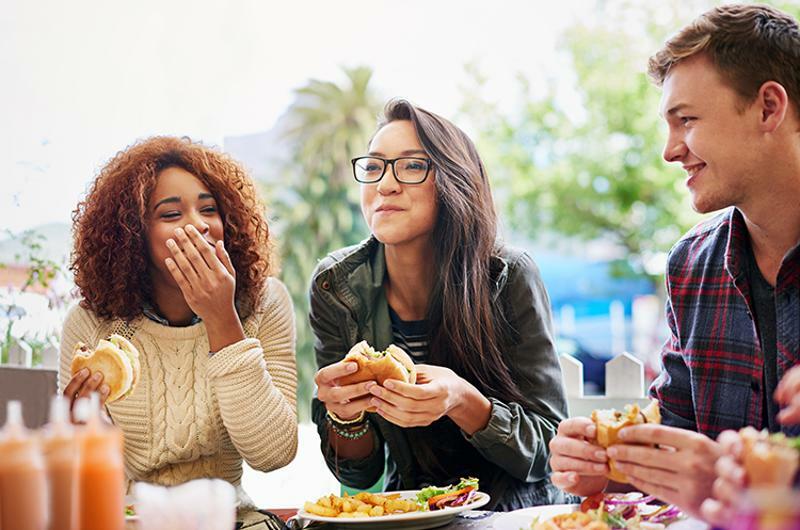 Third-party ordering services, such as GrubHub or DoorDash, are especially popular among millennial diners. Nearly half say they choose restaurants because they don’t have time to cook at home. While convenience is crucial to those in this demographic, they’re also seeking new and interesting dishes—40% like going to restaurants that offer innovative flavors. Chefs and operators can balance diners’ demand for convenience and flavor with turkey. It’s a versatile ingredient that works across the menu and in all kinds of ethnic cuisines. Plus, turkey is lower in fat and calories than its red meat counterparts. More than half of millennials surveyed choose turkey because they perceive it to be healthier than other protein options, and 43% would order turkey more often if chefs used it in a variety of creative ways. Dishes such as the Turkey Burger Fajita Salad and Singapore Meatballs and Zoodles are two examples of innovative, global-inspired turkey dishes that can travel well for delivery or can be packaged up easily for to-go orders—meeting millennials’ needs for quick meals with interesting flavor in one fell swoop. Find more recipe inspiration for on-trend dishes that keep patrons coming back for more in Butterball’s Culinary Center.